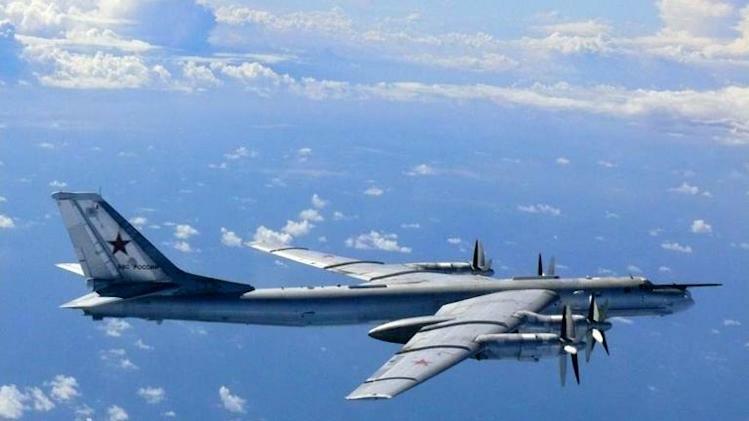 Simferopol (Undefined) (AFP) – Several dozen Russian planes including what appeared to be strategic bombers and fighter jets have been spotted in the sky above the Moscow-controlled peninsula of Crimea, witnesses and experts said. According to Russian media, President Vladimir Putin is poised to visit Crimea on Friday after overseeing the main military parade on Red Square when Russia celebrates its victory over Nazi Germany in World War II. A local aviation expert told AFP on Sunday that he had sighted a number of planes over the peninsula’s main city of Simferopol on Saturday, including supersonic heavy strategic bombers and heavy military transport aircraft. The expert, who spoke on condition of anonymity, said he had also seen refuelling tankers and MiG-29 jets. Another expert, Alexei Savich, who was shown footage of the aircraft, said a Sukhoi Su-34 fighter jet could be seen among the planes. He also identified the tankers and military transport planes. Many local residents have also seen the aircraft rumble over the peninsula including in Simferopol and the neighbouring town of Bakhchisarai. She said the planes were flying low and some were seen re-fuelling in mid-air. The Russian defence ministry declined to comment on Sunday. Savich suggested that Moscow might be moving “some serious military aircraft” to the peninsula. “Russia is most likely ramping up its military presence on the peninsula,” he told AFP. In March, Putin sent troops to Ukraine’s Russian-speaking peninsula claiming he had to protect the local population after a popular uprising ousted Ukraine’s Moscow-backed president. LIKE US ON FACEBOOK AND TWITTER TOO! REPORTING NEWS THE LAMESTREAM MEDIA WON’T!